We're only telling you what we've received, but our reports can usually be believed! Emily Bautista, Red Concepción and Anthony Festa will star in the national tour of Miss Saigon as Kim, The Engineer and Chris, respectively. Directed by Laurence Connor (Broadway's School of Rock, Les Misérables), the traveling production of Miss Saigon will kick off on September 21 in Providence, RI, before continuing on to cities all across the country. Bautista made her Broadway debut in the recent revival of Miss Saigon where she understudied and played the role of Kim. She was most recently seen as Éponine in the national tour of Les Misérables. Concepción is currently starring as The Engineer in the U.K. tour of Miss Saigon. His many stage credits in his native Philippines include Priscilla Queen of the Desert, West Side Story and Hairspray. Festa was most recently seen in The York Theatre Company production of Desperate Measures. His other stage credits include Wicked, Finding Neverland and West Side Story. 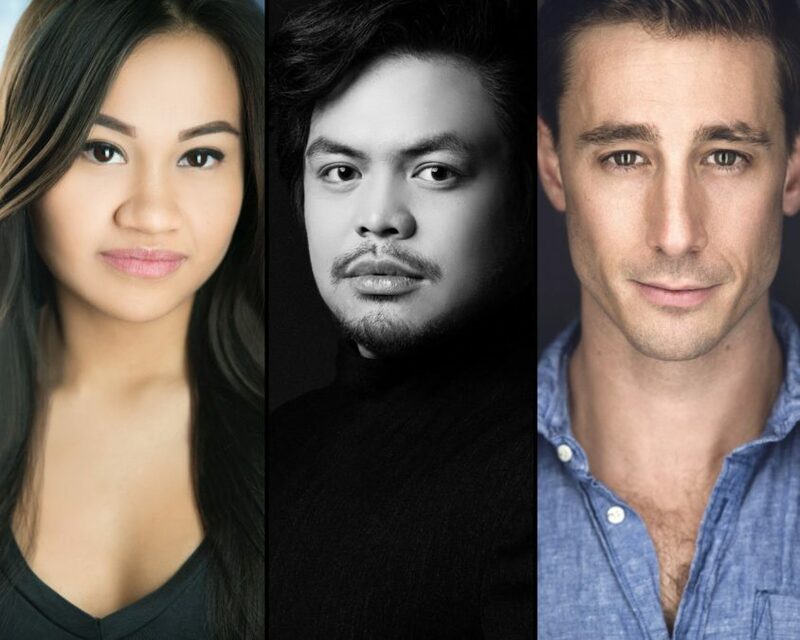 Joining Bautista, Concepción and Festa in the principal cast will be Stacie Bono as Ellen, J. Daughtry as John, Jinwoo Jung as Thuy and Christine Bunuan as Gigi. At certain performances, the role of Kim will be played by Myra Molloy. The role of Tam will be announced at a later date. The Miss Saigon ensemble will feature Alexander Aguilar, Erick Arenas, Eric Badiqué, Eymard Cabling, Joven Calloway, Kai An Chee, Max Ehrlich, Julie Eicher, Matthew Dailey, Noah Gouldsmith, Adam Kaokept, Madoka Koguchi, Nancy Lam, Brian Shimasaki Liebson, Jonelle Margallo, Jackie Nguyen, Matthew Overberg, Emilio Ramos, Adam Roberts, Michael Russell, Paul Schwensen, Julius Sermonia, Emily Stillings, Tiffany Toh, Nicholas Walters, Michael Wordly and Anna-Lee Wright. Miss Saigon has music by Claude-Michel Schönberg, with lyrics by Richard Maltby Jr. and Alain Boublil, adapted from original French lyrics by Alain Boublil, with additional lyrics by Michael Mahler. The new production is directed by Laurence Connor with musical staging by Bob Avian and additional choreography by Geoffrey Garratt. Production design is by Totie Driver and Matt Kinley, based on an original concept by Adrian Vaux, costume design by Andreane Neofitou, lighting design by Bruno Poet, projections by Luke Halls, sound design by Mick Potter and orchestrations by William David Brohn. Music supervision is by Stephen Brooker and James Moore. To find out when Miss Saigon is headed to your city, click here.